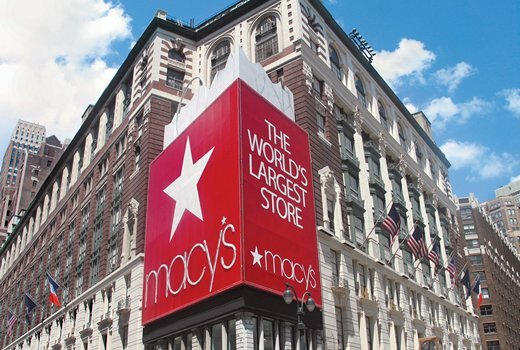 NEUHAUSEN, Switzerland—January 18, 2016—Tyco Retail Solutions (tycoretailsolutions.com) today announced Macy’s innovative use of RFID to fuel its unique “Pick to the Last Unit” (P2LU) program for omni-channel order fulfillment. With Tyco’s TrueVUE RFID Inventory Visibility platform, Macy’s is accessing its full inventory assortment and establishing enterprise-wide inventory accuracy in key product categories to fulfill customer demand. Having this level of inventory accuracy and visibility helps Macy’s drive increased sales to provide a better customer experience. As a customer-centric retailer, Macy’s omni-channel strategies are focused on providing a smart combination of iconic brands and assortments for customers to shop anywhere, anytime, and anyhow they choose. The retailer realized that brick-and-mortar stores could be their greatest asset for single unit orders, essentially functioning as robust and flexible “warehouses” to utilize the full assortment of owned inventory. With item-level RFID, Macy’s can focus on product assortment and service while using existing inventory to address fulfillment demands. Changes to inventory management supporting this omni-channel strategy have enabled Macy’s to reduce $1 billion of inventory from its stores. Macy’s Herald Square Flagship Store, New York, NY. Furthering that effort, Macy’s launched its unique P2LU program for omni-channel fulfillment. P2LU attempts to ensure that the last unit of an item in any store is made available for sale and easily located for order fulfillment. Typically, retailers don’t expose the last item of a SKU to online purchasing because they don’t have enough confidence in their inventory accuracy or ability to find the item to make every unit available for customer orders. Using Tyco’s RFID inventory solution, Macy’s conducted a P2LU pilot project with women’s dresses which yielded impressive results. Fulfillment sales for pilot stores were up significantly compared to last year. Markdowns for pilot stores also showed an improved trend versus other stores. Macy’s now has confidence to fulfill customer demand even if only one of an item is left in stock. By leveraging single unit inventory, Macy’s can help drive sales and margin. In addition to sales lift on regular and first markdowns, the retailer is reducing inventory costs by lowering interim inventory requirements by one-third. In October 2015, Macy’s was honored by Retail TouchPoints as a 2015 Store Operations Superstar Award winner. The legendary retailer was named a gold winner in the category of “Inventory Optimization,” recognized for their innovative use of RFID to leverage store inventory for omni-channel order fulfillment. Click here to download our full-length case-study on the Macy's P2LU program.